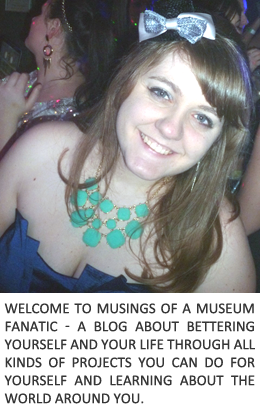 Musings of a Museum Fanatic: Five Blog Things You Should Do Right Now! Sometimes blogging can seem so overwhelming and you never know what to do to fix things or even what you should do next. Lately I've been trying to break down blogging and life into smaller, more manageable steps. Unfortunately for the longest time I was this person. I would comment on their post and then wait and wait for a reply but I wouldn't get one since I was a no-reply blogger. If you think you might be a no-reply blogger check out this post from Sarah at Venus Trapped in Mars on how to check and fix it. It's super easy and will only take a few minutes. While pulling together information for a sponsor post I'm doing I was planning on copying and pasting some information from my about me page I realized some of the information was outdated. Life has changed somewhat in the past year and I should really fix those couple of paragraphs! If nothing else delete the outdated parts and come back later to do a rewrite. I'm not talking about those 2am drunk tweets that you regret posting, I'm talking about deleting an entire profile. Let me give you a great example of this. Sometime ago I had made a Facebook page for the blog. It was great, I had some followers but then it fell lower and lower on the priority list. Then I was never posting on it. Having a Facebook page just became a burden and another stress factor. So I decided it wasn't worth it and just deleted the entire profile, it wasn't benefiting me just making me more stressed! IF you have something like this going on just save yourself the stress and delete it! If you've been around for a while you know I'm a big fan of this lately. I go through every month about a week in to it and delete anyone who hasn't posted since the new month turnover. It's the middle of the month you say? Look at your list of blogs you follow, is there anyone who you never comment on or always mark their posts as read? If so you should really unfollow them. You might feel bad but trust not having that feeling of "Ugh I feel bad I just clicked 'read' again, I should comment but I don't have time and I'm just not that interested but I feel bad". Trust me it's wonderful. 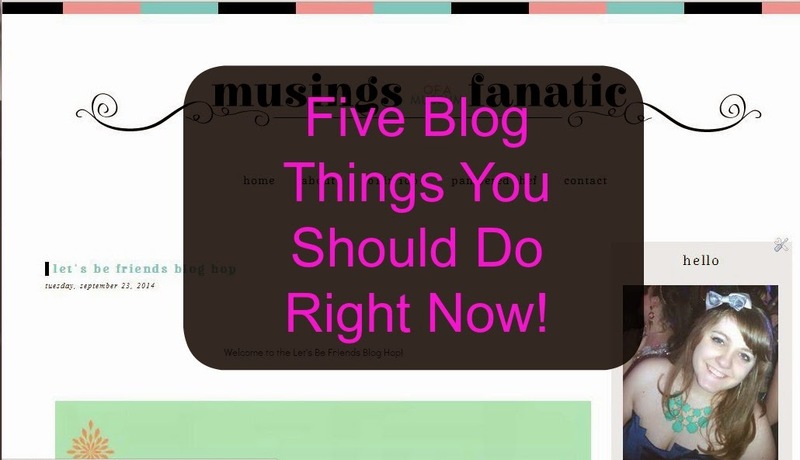 Take some time to go to some of your favorite blogs and read through some of their older posts. Relax and enjoy! Don't feel like you have to comment either enjoy their writing.